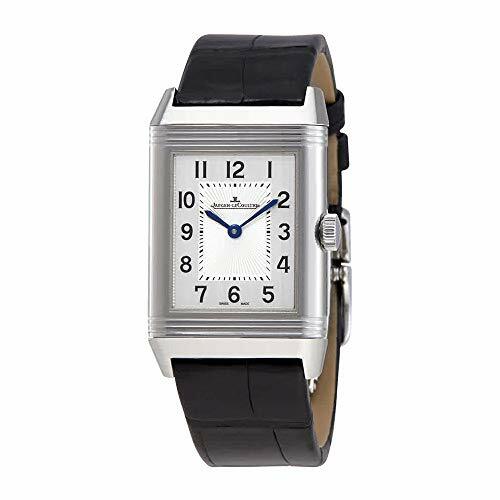 The Jaeger LeCoultre Reverso is one of the most peculiar but innovative timepieces ever made in the history of watchmaking. Its minimalistic but chic design has been copied by other brands, resulting in the release of a number of Jaeger LeCoultre (JLC) homage timepieces in the market. British Army officers back then loved playing polo during break times. The sport involves people riding horses with long and hard mallets in hand, aiming to hit the polo ball towards their opponent’s court. Just imagine the momentum created by a running horse and mallets hitting one another, and you won’t be surprised how the players’ watches get destroyed during the game. This concern pushed the group to approach a watch dealer, who in turn asked help from Jacques-David LeCoultre to develop a timepiece that can withstand the brutal sport. The result was the birth of the first Reverso – a small, rectangular timepiece that can be completely rotated 180 degrees, exposing the back plate and protecting the fragile window crystal from physical abuses. It became popular outside the military circle and the polo sports scene, capturing the enthusiasm of people in owning a unique timepiece. It hit a roadblock, though, when round watches became the norm, resurfacing only in the 1990s and 2000s with the addition of new movement and features not seen before on the first generation Reverso. The popularity of the rectangular, reversible watch may have toned down a bit, but it has never disappeared from the watchmaking scene. Here’s a short list of the best JLC Reverso alternatives you can find in the market. The 38mm Skyline is a good JLC Reverso alternative, minus the reversible part. It measures 30mm x 22mm and has a synthetic sapphire crystal, a stainless steel case, a calfskin leather strap, a chronograph dial, and a Swiss quartz movement. For the price, the Monticello looks very much like the JL reverso we all love and enjoy. 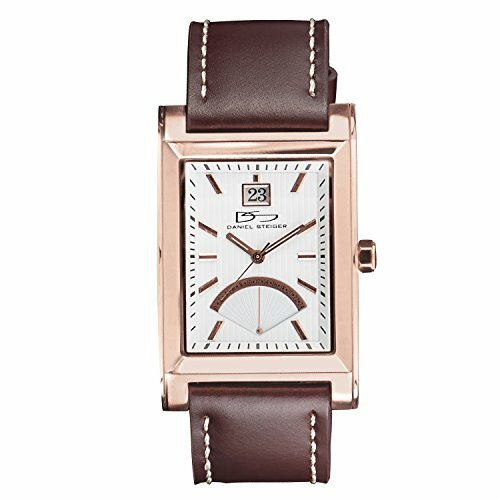 With a stainless steel case with rose gold finish, numberless design with a legitimate leather brown strap. Its a quartz movement with a convenient date window and retrograde dial and is a great homage to add to your dress watch collection. High possibility of a rose gold coating will rub off after use. 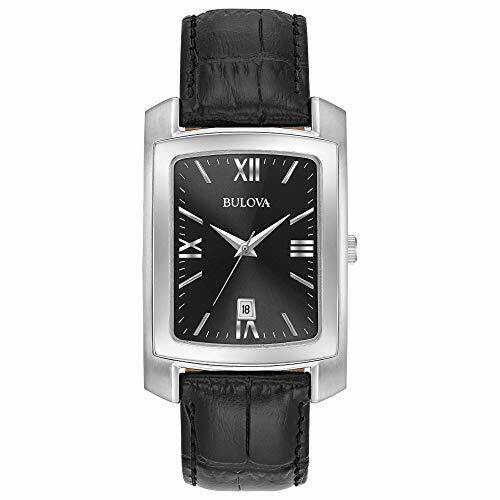 The Bulova Quartz has a large 47mm x 20mm dimension and features a non-reversible stainless steel case, a synthetic sapphire crystal, a crocodile leather strap, a black dial with silver-toned Roman numeral hour markers, a date window, and an analog quartz movement. 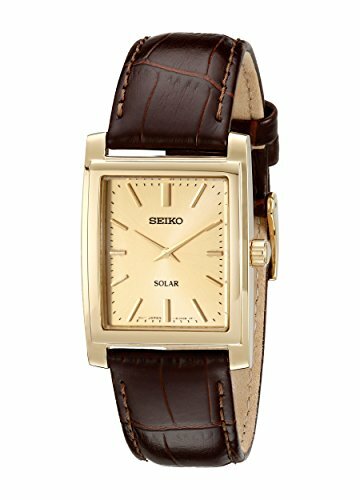 The 28mm x 20mm Seiko Solar has a curved Hardlex crystal, a stainless steel case, a calfskin leather strap, and a solar-powered quartz movement. It’s classy and looks expensive, but in reality, it’s one of the best and most affordable JLC Reverso alternatives that will surely impress anyone who sees it. The 35mm x 25mm Eterna-Matic has a black guilloche-style dial with silver-toned hour markers, a sapphire crystal, a stainless steel case, a crocodile leather strap, luminescent hands, a date window, and an ETA caliber 2681 self-winding automatic movement. 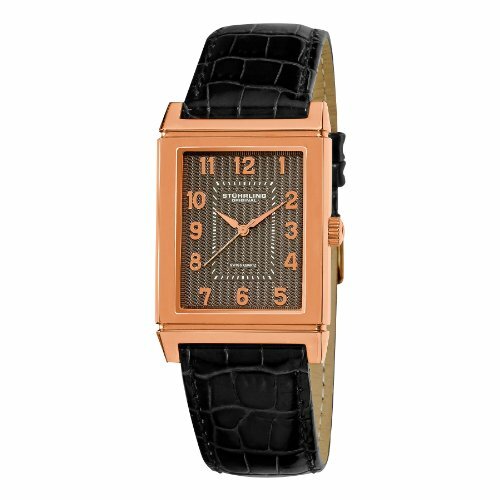 This is the best JLC Reverso alternative for women you can find in the market. 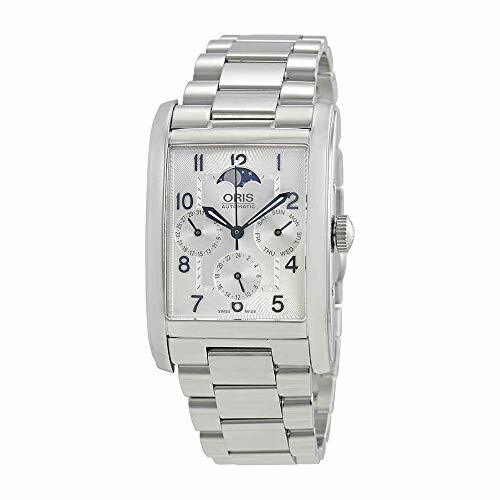 Oris watches are very good quality for the amount of money and I wanted to throw rectangular complication watch because they have some reminicent qualities of the elegant JC reverso. That being said, the Oris is more decked out with its moon phase and day date subdials. The Rotary Evolution is one of the best Jaeger LeCoultre homages you can find in the market. It’s available in 2 different models, the GS2923 and the TZ2, both measuring 39mm x 20mm in size. Both style also have mineral crystals, stainless steel cases, leather straps, and a quartz movements. The difference can be seen in the finishes, the strap color, and the features on the watch face. The GS2923 has a version with a seconds subdial, while the other variants have a date window. The 40mm x 24mm Otis is an excellent reverse watch that features a 14k gold case, a dial with Arabic numeral hour markers, a seconds-hand subdial, a sapphire crystal, a genuine crocodile leather strap, and a manual-wind caliber 980 movements. This is a very rare piece and one of the most coveted Jaeger LeCoultre homage watches you can get your hands on. 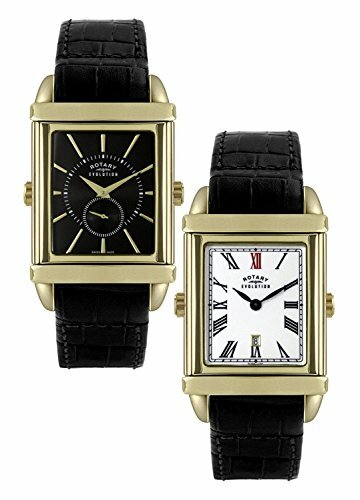 The 31mm x 22mm Cartier W5200027 features a white dial surrounded by black-colored Roman numeral hour markers and has a stainless steel case, a synthetic leather strap, a date window, and an automatic movement. 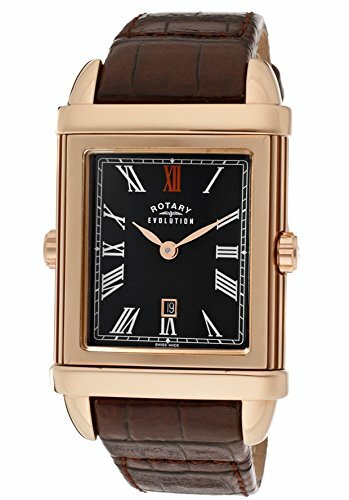 The list was hard to make because there are very few brands that feature a Reverso mechanism similar to that of the Jaeger LeCoultre. With that, we’ve listed timepieces that have both reversible and non-reversible features that will still pass as excellent JLC Reverso alternatives. Take a look again and you’ll surely have a pick among these incredible homage watches.